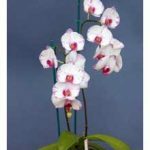 When I began growing phalaenopsis orchids about twelve years ago, I was very particular about watering, always making sure that all the water was directed into the potting mix and that none fell into the crown of leaves. If by chance any did so, it was immediately removed with a paper tissue to minimise the likelihood of crown rot. The first few years were very successful, resulting in some beautiful flower spikes. 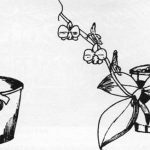 However, as my orchid collection grew I became less careful with my watering practices and sometimes neglected to remove any water that lodged in the crowns of my phalaenopsis plants. I live in a cold climate, where the temperature on some winter nights falls as low as -5°C, requiring my phalaenopsis house to be securely closed to maintain the desired minimum temperature of 16°C for up to 16 hours per day. The lack of fresh air during this time meant that any water on the foliage had little chance to evaporate. Inevitably this led to crown rot and the loss of some plants. 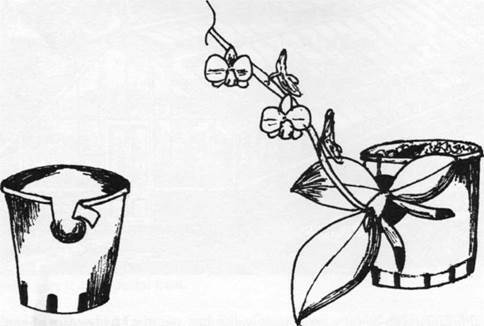 Recently a friend in Ballarat showed me how he partly tipped his phalaenopsis pots on their sides, so that any water remaining on the leaves of his plants after watering could drain naturally, thus allowing the foliage to dry quickly. This led to my new idea -1 would pot my phalaenopsis plants on their sides, just as they grow on a tree branch in their natural habitat. And so, using a hole saw, I cut a 40 mm-diameter hole in the side of a conventional plastic pot about a third of the way from the top. Then, with a strong pair of scissors I made a cut from the rim of the pot to one side of the hole (see sketch). This left a flap across the top of the pot than can be opened to insert the plant when re-potting, and then closed again to retain some potting mix above the plant. At the time of writing (November) my plants have been planted in this manner for only about three months but already new leaves and roots are evident. I can now water overhead as often as I like with little risk of crown rot. 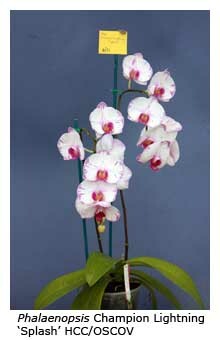 I’m so pleased with the idea that I’m about to buy more phalaenopsis plants to replace my earlier losses!